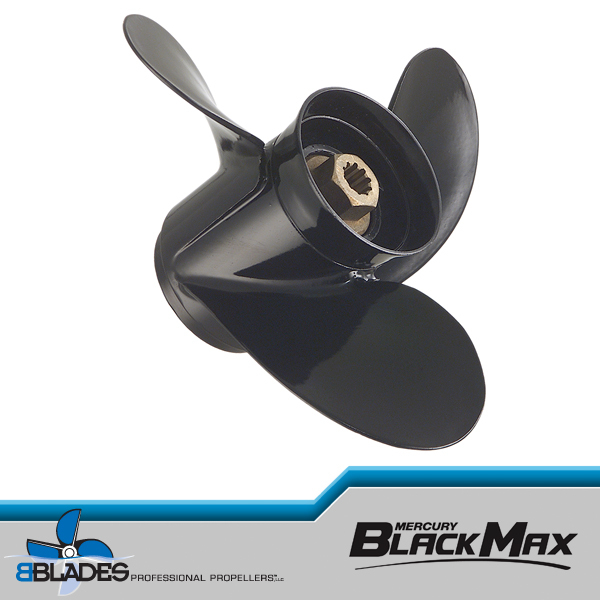 Made from a Bravo 1 casting, the BBLADES OB/F is perhaps the most versatile outboard propeller available. A four-blade, 14.75″ diameter in one inch pitch increments from 21-37 and 15″ diameter in one inch pitch increments from 33-37, stainless steel wheel with a custom-tuned tube that reduces drag, improves trim reaction and aides time-to-plane and top-speed. 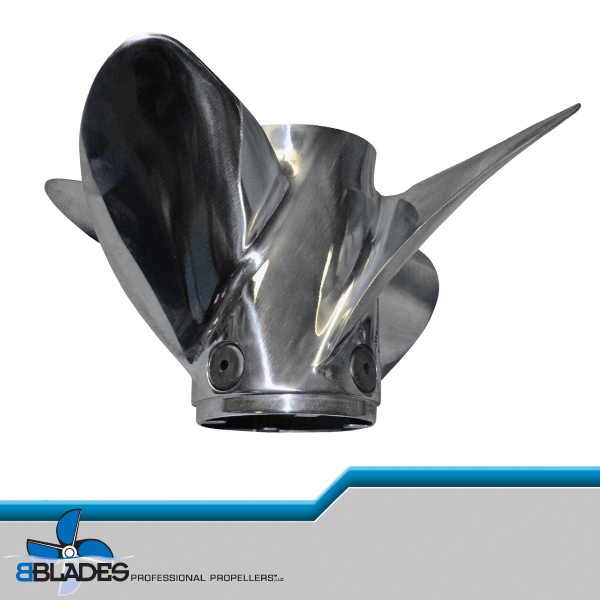 The leading edge of each blade is wedged and balanced while the trailing edge cup heights are lengthened and matches for cleaner, smoother acceleration and quicker trim reaction. It’s available in both left and right hand rotations. 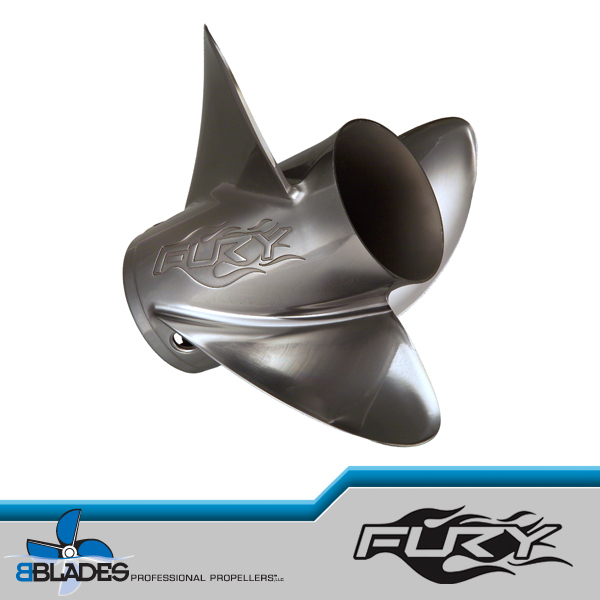 An exclusive feature of the BBLADES OB/F is it fits 7/8th inch tunable exhaust vents with plugs that allow boaters to customize the necessary propeller ventilation for their specific boat set-up and improve planning. 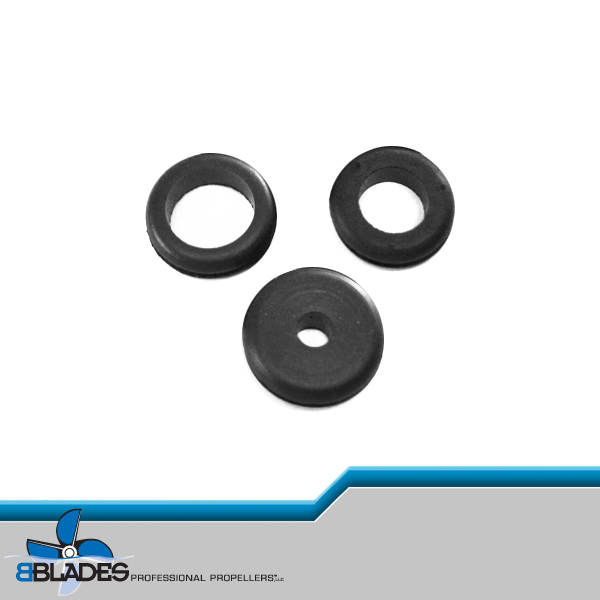 Other propeller companies offer a non-tunable one inch vent or a 5/8th inch tunable vent. 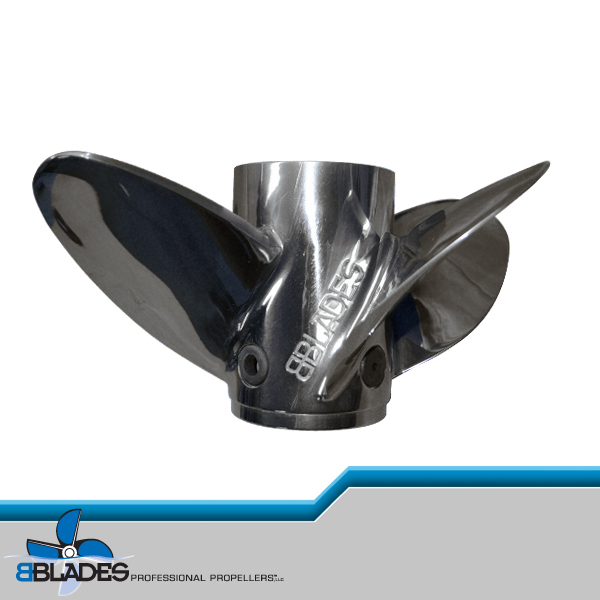 They also offer a separate propeller for two-stroke and four-stroke applications, while BBLADES had perfected the formula that makes the OB/F ideal for any 150 to 557 horsepower outboard from any manufacturer with just this one propeller design. 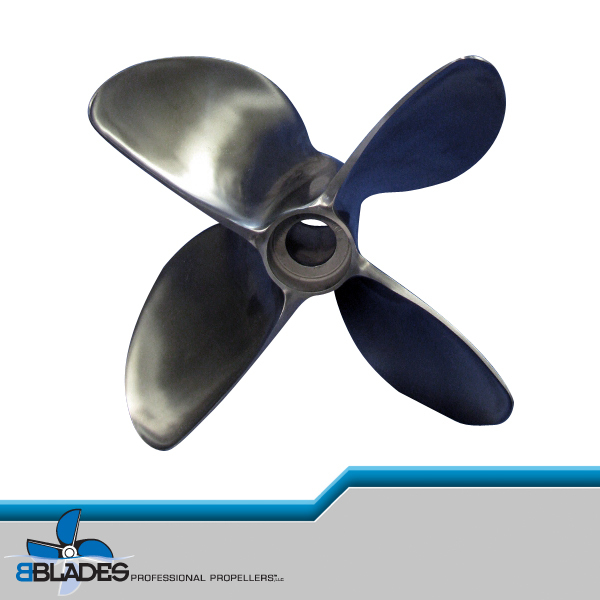 This propeller can be used for all 2-stroke and 4-stroke models in single or multi-engine applications. 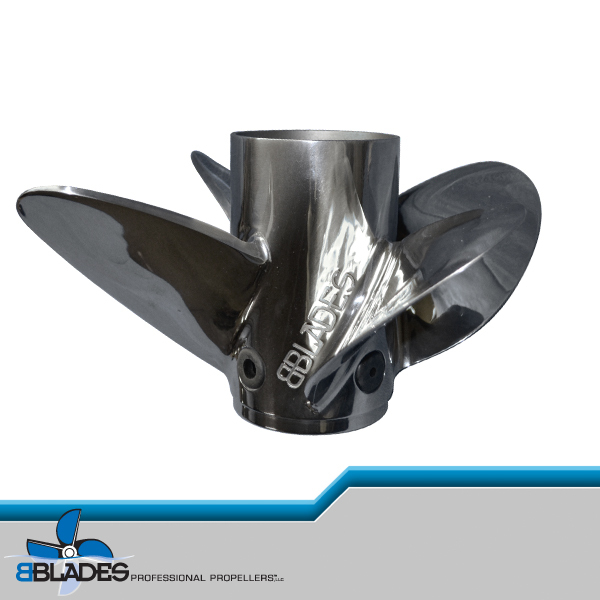 Call to demo this propeller in our Testing Program. 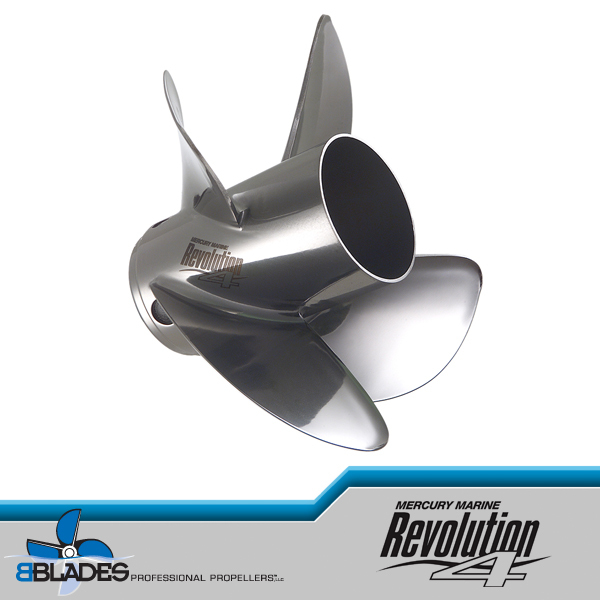 Like the description says: The BBLADES OB/F is perhaps the most versatile outboard propeller available, so true, I have a Checkmate 2400 BRX with a Merc 400R & couldn’t be happier with the 24″ OB/F….what a great prop does everything good, slow tubing speeds, great on gas at cruise speeds, excellent high speed manners, awesome hole shot with it’s tunable vents & incredible midrange punch. I’m running a 24 foot custom deep V hull powered by a 250 Evinrude E TEC. In the Caribbean average wave heights 4 to 6 foot seas . This prop for lack of a better word is unbelievable. stability , control and speed . I am not weekend boater my last motor had 4300 hours in three years. I use his boat to commute to other islands for work in all conditions this prop is the best prop I’ve ever ran !! !